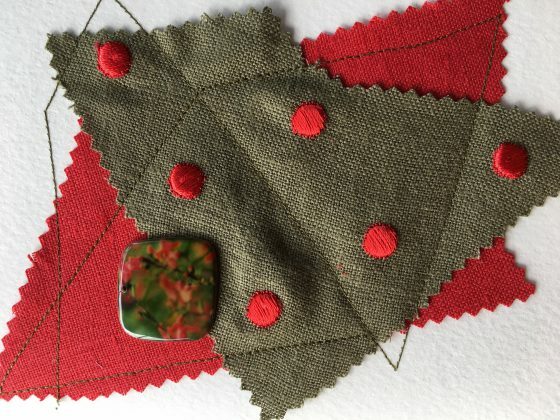 Paula brings the colors of Christmas to you with red dotted Swiss linen. 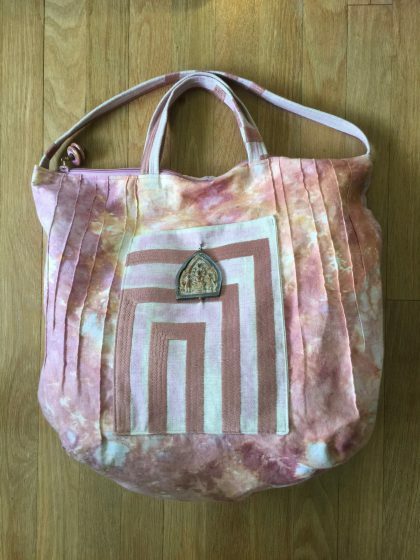 Lynda Sakraida of Hadji Baba Bags is having a pink moment. 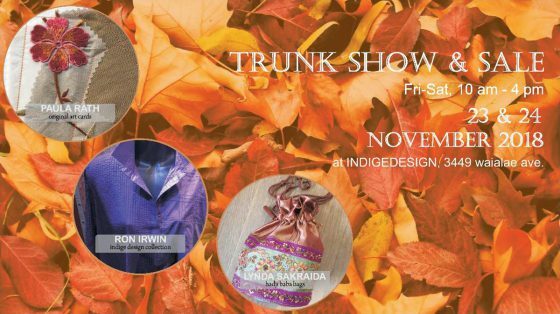 Here are some of the bags, cards and watercolor paintings you can see at the Indige Black Friday and Small Biz Saturday sale. Details of the sale are below. 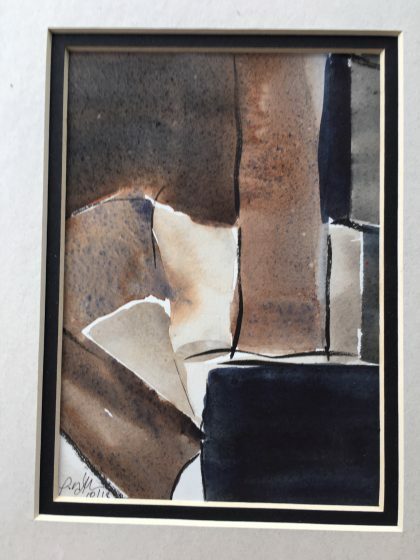 “Home Away from Home,” an abstract watercolor by Paula Rath. 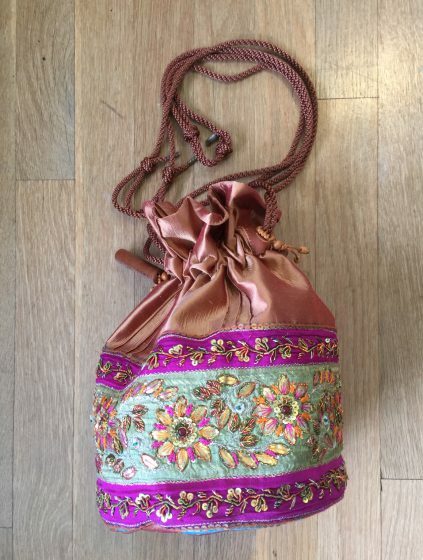 Lynda fashioned this little gem of a bag from a vintage sari. 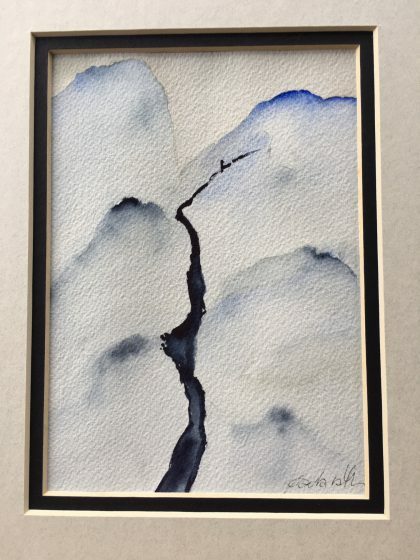 Paula’s “Iceberg, Antarctica” highlights the issue of Global Warming. 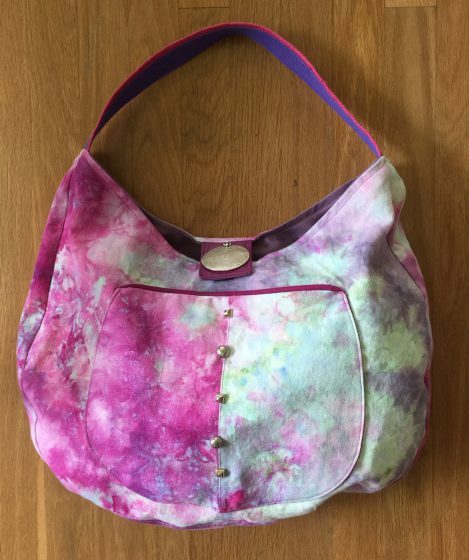 Pinks in pintucks and patchwork from Lynda.